NEW DELHI: Telecom operator Vodafone India has organized a session on Women safety & security for the students of DAV College in Bulandshahr. This was a one of its kind initiative by Vodafone for taking a step forward for Women safety. The session took place in DAVPG College of Bulandshahr in the presence of Ritu Punia SDM Bulandshahr andDilip Kumar Ganta, Business Head UP-West and Uttarakhand, Vodafone India. The session which was held in DAV College consisted two modules: session of Vodafone team with the students on Women safety and Vodafone Sakhi and its benefits which enables users to conveniently recharge their mobile phones, without sharing their mobile numbers with retailers, emergency calling on Zero balance, etc followed by a session of the students with Ritu Punia SDM, Bulandshahr on Safety measures and initiatives being taken by the Police authorities towards achieving the common goals of a safe and healthy atmosphere in Uttar Pradesh. Vodafone is planning to organize similar sessions in prominent colleges of Bulandshahr district as part of its Vodafone Sakhi campaign. Vodafone India had recently introduced an innovative service‘Vodafone Sakhi Pack’ for subscribers in UP West & Uttarakhand. The service was launched in the presence of Smt. Rekha Arya, Hon’ble Minister – Women’s Welfare and Child Development of Uttarakhand and Shri Dilip Kumar Ganta – Business Head, Vodafone UP West Circle. Vodafone Sakhi is a free of cost service, which enables users to conveniently recharge their mobile phones, without sharing their mobile numbers with retailers. 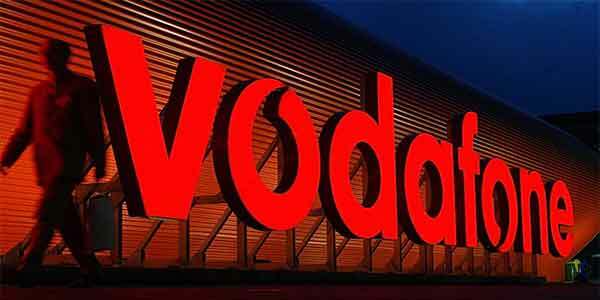 Country’s leading telecom operator, Vodafone had earlier rolled out this service in a test phase and received phenomenal response across the region and has more than one lakh happy and engaged women customers already. According to Vodafone Connected Women Report 2014, around the world, an estimated 300 million fewer women own a mobile phone than men. This gender gap is the largest in the emerging economies and prevents many women benefiting from mobile services. Added to this are the privacy issues for women and hesitancy to share mobile numbers at recharge outlets. With a view to address these concerns of women from rural India, to bring them into the forefront of the Digital revolution and empower them to stay connected with their near and dear ones, Vodafone India had introduced ‘Vodafone Sakhi’, a unique proposition empowering women in rural areas of UP-West and Uttarakhand. Talking about Vodafone’s Step towards Women Safety in Bulandshahr region, Dilip Kumar Ganta, Business Head UP-West and Uttarakhand, Vodafone India said, “As a part of our constant endeavor to work towards the customer needs, we believe safety and privacy is very important. With the world going digital and smart phones becoming the primary data storage device, security of personal information has become a key concern for people. ‘Vodafone Sakhi’ will help bridge the telecom needs of young girls and women in all areas and addresses their barriers to access mobile services at will. We are very proud to introduce this unique product aimed at women safety across UP-West. We want the women to use mobile as tool to empower themselves and optimize their efficacy”. Vodafone organises session for college students on women safety 0 out of 5 based on 0 ratings. 0 user reviews.